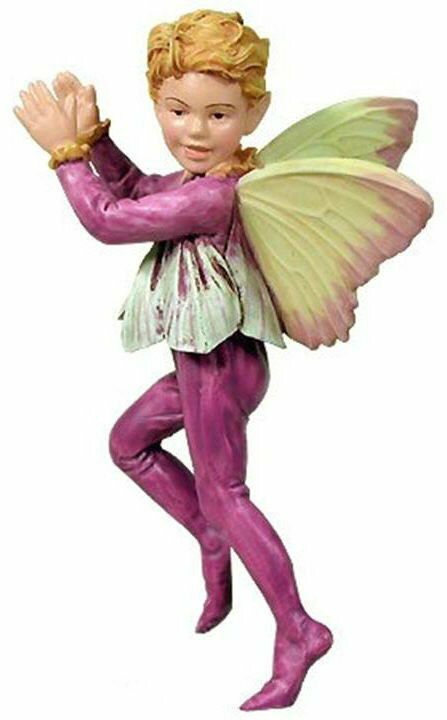 Beautifully hand painted Crocus Boy Flower Fairy figurine. Optional gold string and wire pick included for securing in your display. Comes in a plain white box, not display box. Beautifully hand painted Crocus Boy�Flower Fairy figurine. Optional gold string and wire pick included for securing in your display. Comes in a plain white box, not display box.